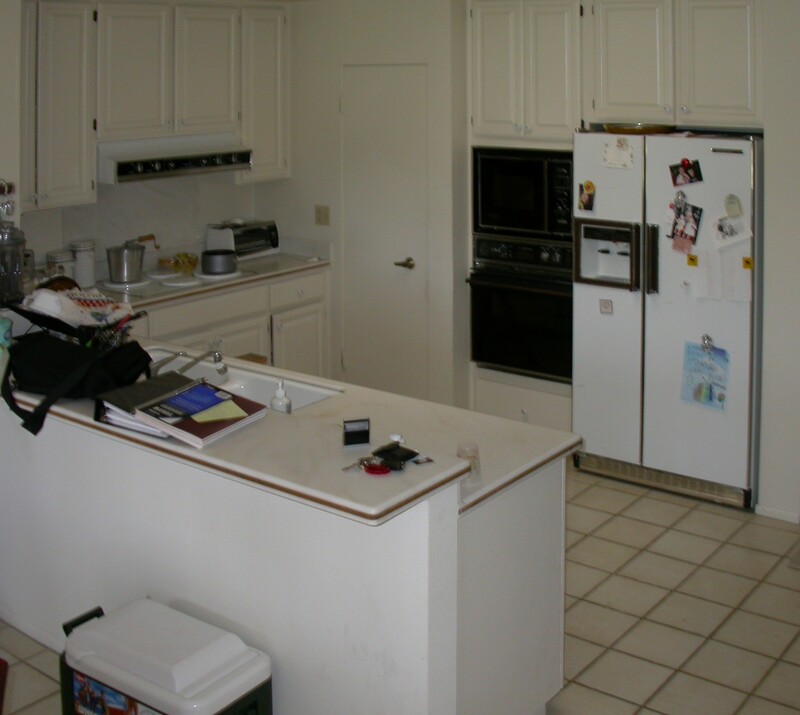 This home was built in the mid-70s. 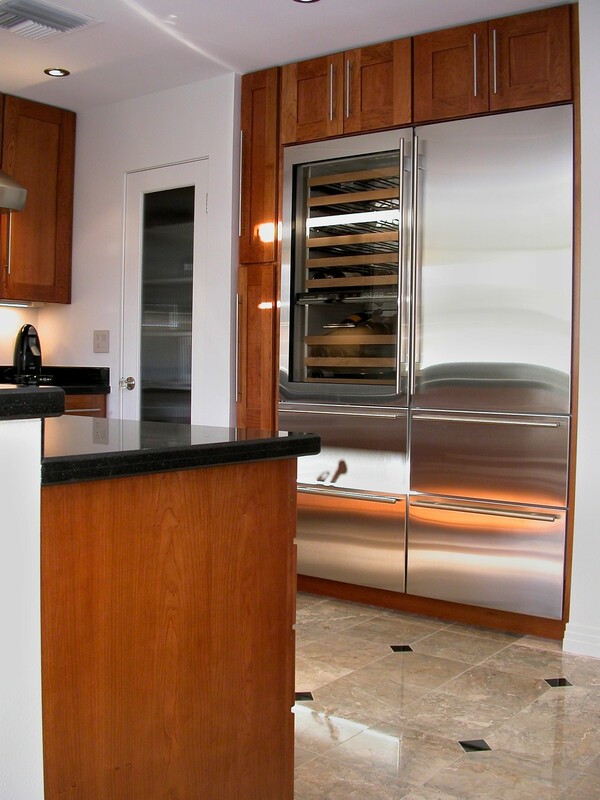 We relocated the oven and installed a large wine cooler. 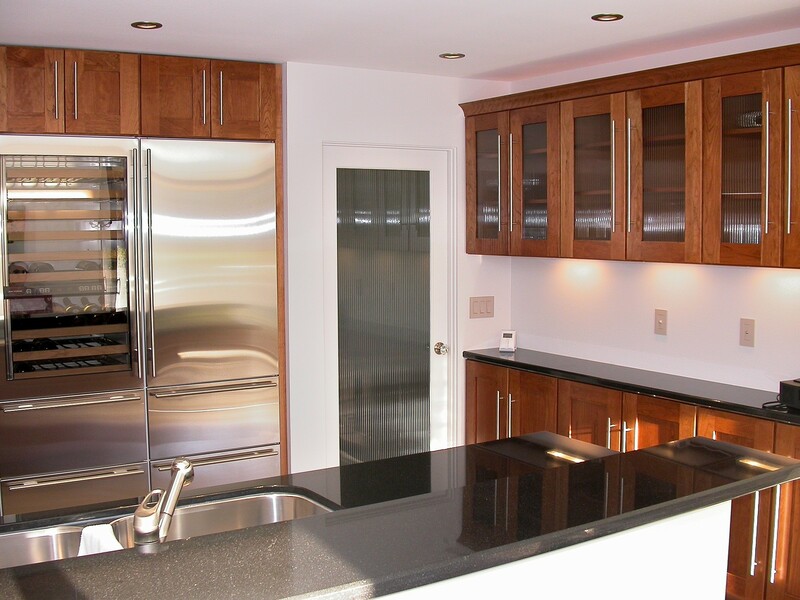 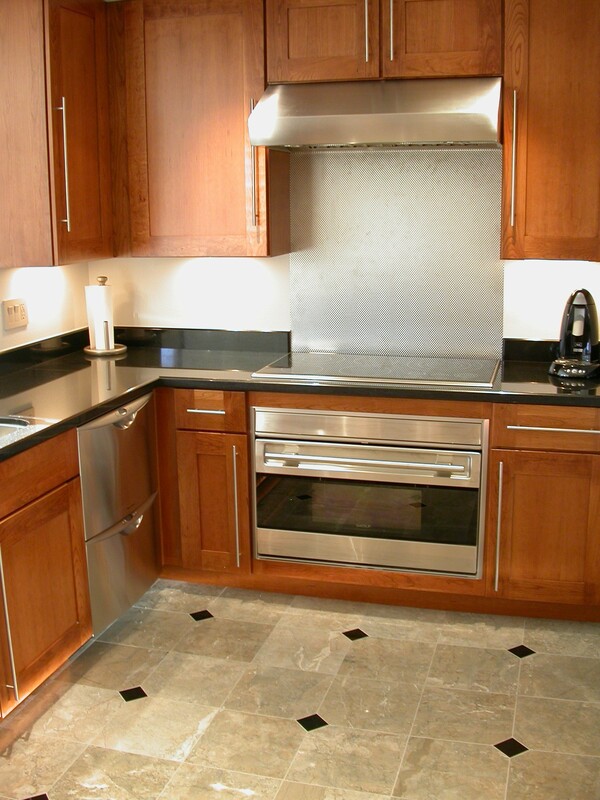 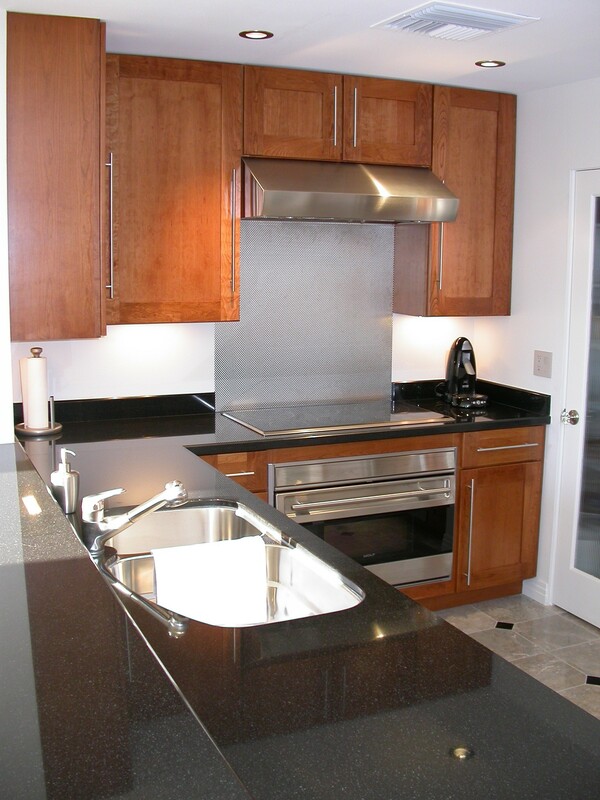 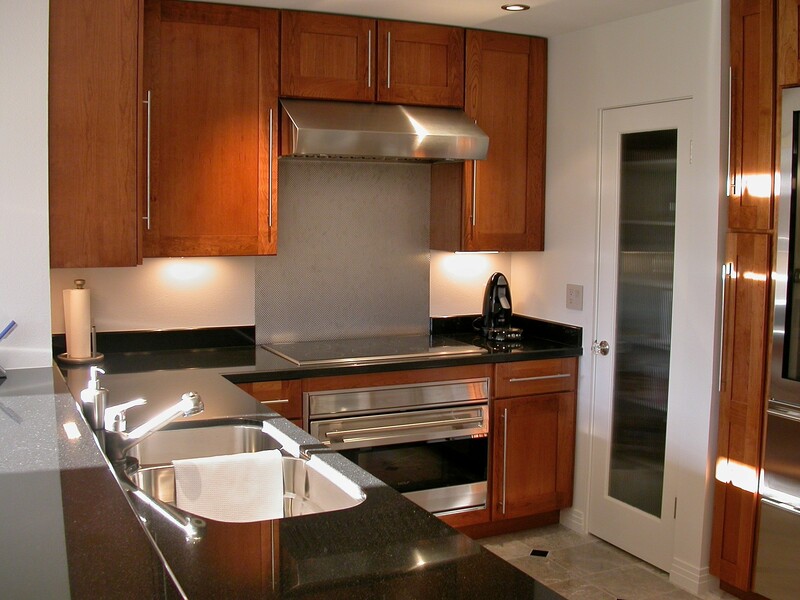 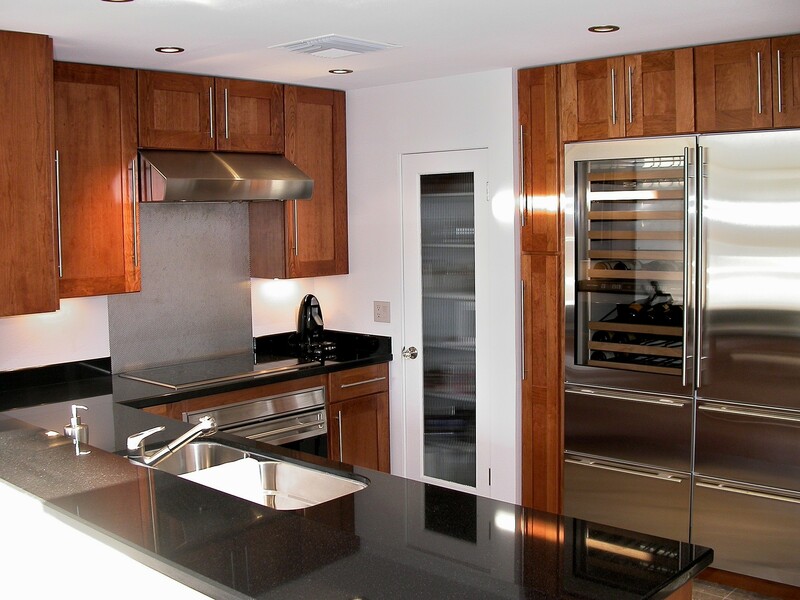 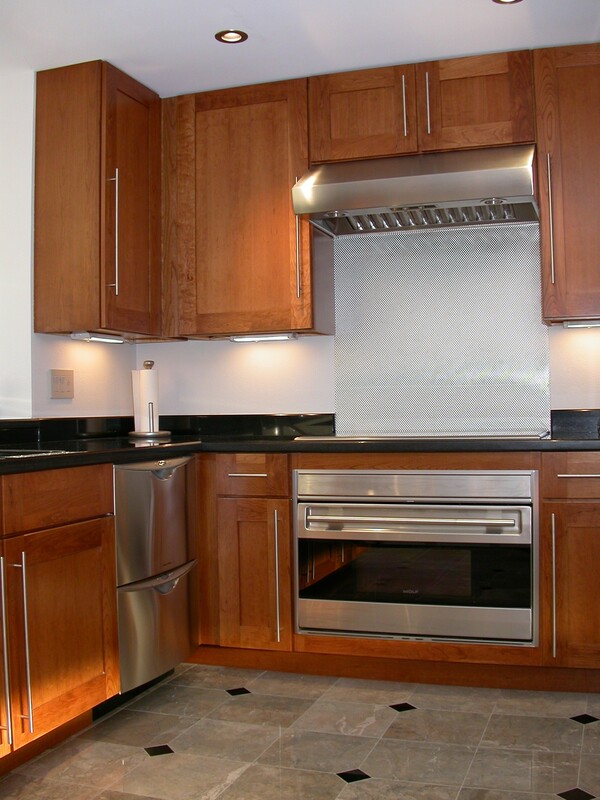 Natural materials were used through out the renovation and sleek black granite and stainless steel appliances are balanced by the warm-toned cherry cabinets. 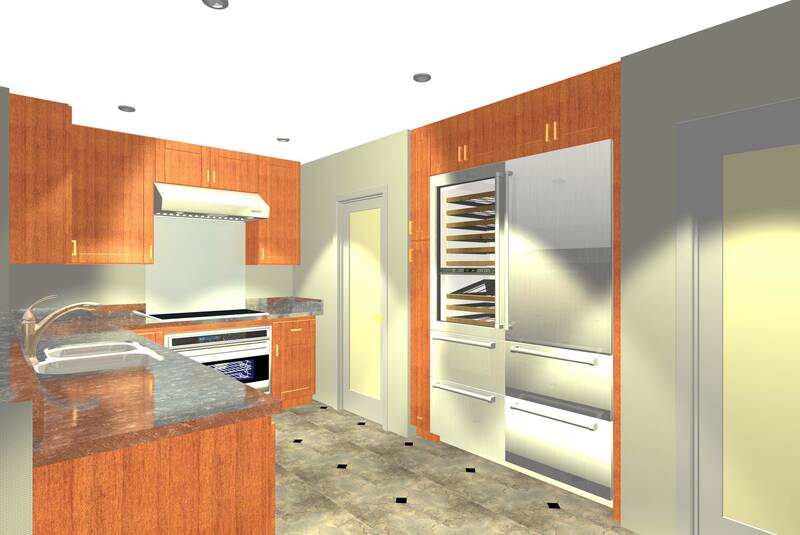 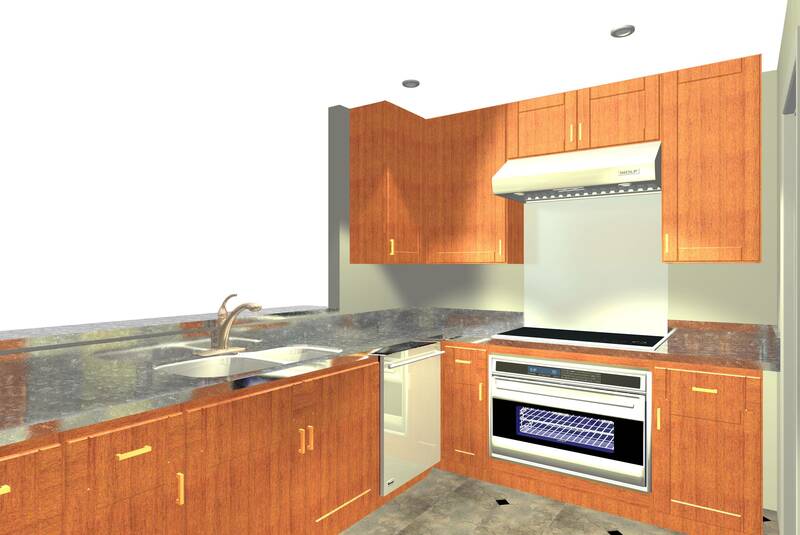 By using renderings, clients can visualize their finished project before construction begins.